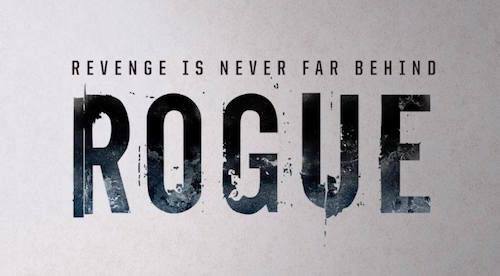 The original song released on the South By Southwest album "Can't Get Through To You" was featured on the Direct TV Audience Network original series "Rogue" season 4 episode 3 "Lost Hope" original air date April 5th, 2017. Featuring Bob Orsi and the D Smith Band. The original song released on the South By Southwest album "Can't Get Through To You" was featured on the Direct TV Audience Network original series "Rogue" season 3 episode 9 "Chicagoland" original air date August 19th, 2015. After roaming the country from coast to coast, multi-instrumentalist Nelsen Adelard has settled down in Clearwater. His new group features former band mate John Puhl on guitar, Mick Donner on bass, and Paul Christman on drums. Adelard handles the lead vocals, keyboards, and harmonica in addition to writing the nine songs featured on his sixth release. The opener, "I Need Tonight With You," sounds like it came out of theLouisiana swamps, reeking of loneliness punctuated by Puhl's biting licks. The leader's harp leads the way on "Mon Cheri," a sturdy shuffle propelled by Christman's rolling beat. Puhl introduces "May Just Have To Set You Free" before Adelard pours out his agony over a mistreating woman. Guest Mark Norris almost steals the show with a muscular sax solo. He is also in on board for the funky "Get In The Groove," which sports a hypnotic hook. The title track is built on a mean guitar riff and another of Adelard's stellar vocal performances. "Boom" is a stripped-down performance with Adelard's robust vocal and tough harp riding Christman's solid rhythm. The arrangement on "Train Whistle Blues" features acoustic guitars but Puhl switches to electric for his brief solo. Adelard supplies a rolling piano solo that acts as a counterpoint to the lonesome wails from his harp. "I'm Gone" continues in the acoustic country blues vein with some vibrant guitar picking. One final number, "Down The Road I Go," is an instrumental that showcases the leader's tough harp playing. Nelsen's appearances at Ella's Cafe for Soul Food Sunday have been well-received and he has played other area gigs, primarily in Dunedin. If you get a chance, make sure you catch this band that is steeped in the blues tradition. Once you hear them, you will definitely want a copy of this seamless examination of life's ups and downs. The original song released on the South By Southwest album "Boogie On Down The Road" is featured in the Netflix original series Bloodline episode 7 the entire series released March 20, 2015. The Nelsen Adelard Band's sixth album Voodou By You. Blue Track is proud to announce the release of The Nelsen Adelard Band's sixth album “Voodou By You”. The title is a lighthearted nod to the crazy things our better halves can seemingly make us do without our knowledge. What follows are four more originals reminiscent of the cut back trio approach Adelard took on his previous album, There’s even an a cappella type harmonica and drum number that showcases Nelsen’s affinity for the original. 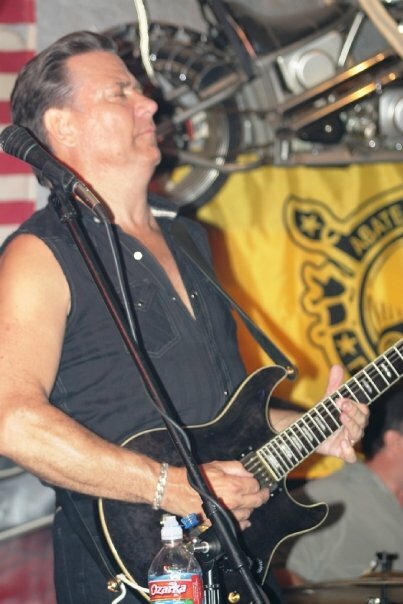 Nelsen moved down to the Clearwater, Florida area and hooked up with his old friend and band mate, Jon Puhl. They played together in early incarnations of the NAB back in the 70s. Puhl brought with him a tight rhythm section of Mick Donner on bass and Phil Christman on drums. Nelsen’s old friend and west coast band mate, Mark Norris even pops in for a couple tracks on the saxophone. The new album “Voodou By You” is a smoking example of their combined talents. Excellent performances, great riffs and a no nonsense approach to modern Blues. How can we call it work? Just checkin in from a long absence on the site. I know it’s been too long since the last album. We’re finally getting settled in down here in Flo-i-da. The band has gotten so tight it was just a natural progression to want to take it into the studio and give our international fans a taste of what the locals have been enjoying. The release date got pushed back a couple times, but I swear it was worth the wait. “Voodou By You” will hit the iTunes shelf on March 15th. You could say we worked hard on the project, from the pre-production to the post. But honestly it was all just plain fun. Back in the 70s I asked a fellow musician where he was “working” that night. He laughed and said “I quit working years ago. I play for a living”. I guess he was right about that. Till next time…..
Coming soon The Nelsen Adelard Bands new CD VooDoo By You. Only available for a couple more weeks at the discounted rate. No shipping. "Can't Get Through To You" by North Star Media artist Nelsen Adelard will be featured in an upcoming episode of TNT Drama's Rizzoli&Isles! Nelsen updates friends and fans on the note from Nelsen page... Check out the exciting news!!! "The Blues is something that you are born with. You either feel them or you don’t." Nelsen, when was your first desire to become involved in the blues & who were your first idols? When I was a teenager in the late 60s a friend played me a copy of BB Kings “Live At Cook County Jail”. It sent shivers up my spine. I was hooked. I had friends that were record collectors and through them I discovered Muddy, Buddy Guy and Jr Wells and of course Little Walter. I bought the album Buddy Guy and Jr Wells play the Blues and learned every harp lick on the album. I played that thing till I about wore it out!! So I guess you can say BB King was my first inspiration and then Muddy, Buddy, Junior and Cotton filled in the blanks for me. We used to go to an all ages club to see local bands play when I was 14. I saw an early version of an American band called NRBQ and loved the guitar and piano jamming back and forth. I also loved the live sound of the drums and the effect that the bass guitar had on your body. You could feel it more than hear it. My first Blues show was at a little club on the east coast out in the middle of the woods. It was a group of white kids playing Chicago Blues to the best of their ability and backing up Howlin Wolf! The first song I learned to play on guitar was “House Of The Risin Sun” when I was 14. From there I started to pick up song books with chords charts in them. I got the basic chord progressions down and developed my own style of playing rhythm guitar. I take my basic song lyric ideas from my own life experience. Playing the festivals, clubs and juke joints around the south you see a lot of real life drama. It’s those experiences that have inspired my songs. My mentors in song writing for guitar are BB King, Freddie King, and Muddy. For harp it’s James Cotton and Junior Wells. On piano is the New Orleans side of the music there’s Professor Longhair, Champion Jack Dupree and Allen Toussaint. What characterize the sound of Nelsen’s blues? How do you describe your philosophy about the blues way of life? I need to go back in time for a minute on this question. Back in the 70s when I started playing live shows the point of view from the Blues legends that we opened for and jammed with was: Black folks from Mississippi, Lousiana and Chicago played the Blues. White guys played Rock and Roll. I know that sounds very prejudice, but even among the white record collectors I knew and the diehard Blues fans it was an excepted truth. White boys played “Blues Rock” which communicated to the white audiences. I once heard an interview with Ray Charles who said “The Blues Brothers” (Belushi and Aykroyd) had done more to promote the Blues than any Black Blues artist at that time. Of course earlier in the 60s it would have been the Stones, Clapton and Lead Zeppelin. My promo people will probably argue with me on this as they market my music as Blues, but from my perspective it’s Rock, or Blues Rock. The Blues way of life for me is playing just about any club around the south that will hire you. From large venues to the smallest Juke Joint. Anywhere where people love the Blues. The traveling isn’t as easy as when I was younger, but the fans and friends we meet along the way make the trip well worth it. From the musical point of view is there any difference and similarities between a guitarist and harp player? 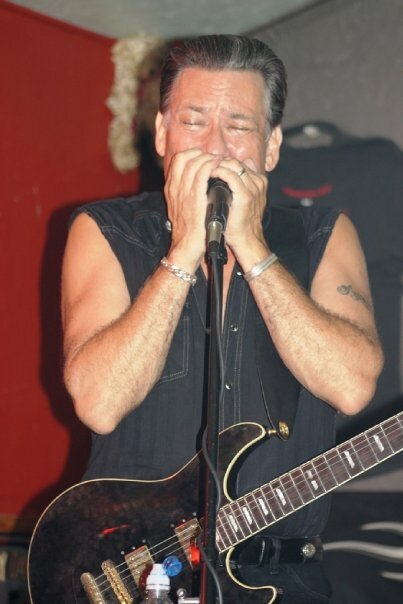 I blew harmonica in a recording session in Los Angeles back in the 80s and a producer asked me if I played guitar because it sounded like I was playing guitar licks on the harp. This struck me sort of funny because I never thought of what licks to play on harp or guitar. I just try to find a melody that will work with and contribute to the overall sound of the song. 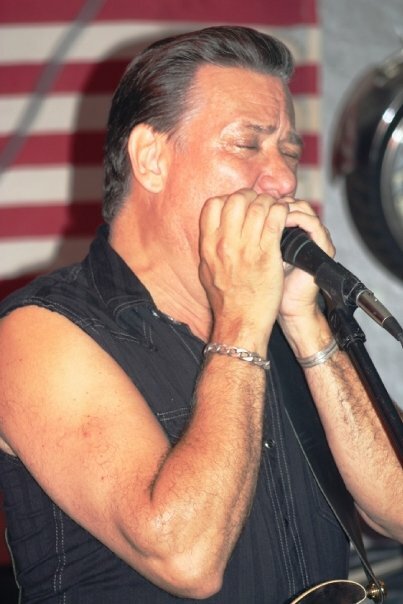 I think of the harmonica as an extension of my voice. Sometimes I make vocal noises through the harp as well as play. The guitar is a rhythm instrument for me. My rhythm and leads are played to accent the rhythm of the songs to help the listener feel the music. No matter what instrument I play I aim to make the listener feel some emotion when they hear the song. Either happy or sad or mad. Whatever the tone of the song is trying to convey. Which memory from Muddy Waters makes you smile? You have shared the stage with such greats as James Cotton, Matt "Guitar" Murphy; and Kenny Neal. It must be hard, but which gigs have been the biggest experiences for you? And why? Looking back over the past 35 years there are so many to choose from. Muddy was a very sweet man, James Cotton is real character and loved to party when we played with him. Matt Murphy was another sweet guy who was always willing to offer advice. My favorite gigs were the small clubs we’ve played where the audience was close to us and feeling the music right along with us. The last time I played with Kenny Neal, my band was playing a little Juke Joint in Lousiana called “Teddy’s Juke Joint”. It was a week before Christmas and in strolls Kenny. He came up on stage and insisted on playing all Christmas songs! The crowd went wild. Are there any memories from Audiophile Studios located in the heart of the French Quarter in New Orleans, which you’d like to share with us? Recording the South By Southwest album at Audiophile was such a pleasure. The building sits right on the edge of the French Market. So the day would start at Cafe Du Monde for coffee. We would record till around 2:00 then break for lunch at Coops Place. Their red beans and rice are the best in town. Then back for more recording and dinner could be anywhere. You can’t go wrong in the Quarter. The studio was the most comfortable I’ve ever been in. They made us feel right at home and I fell in love with the sound we got. It made for a great album. I did an audition for an A&R man back in the early 80s. He liked the music and loved the Blues, but it wasn’t what they were looking for at the time. What he said was “Don’t ever quit playing the music that you love” The Blues has always had an audience. I love to see young people out and supporting it because it means we have a future. The wish I have for the Blues is to keep on doing exactly what it’s been doin since the earliest Blues song. It expresses folks emotions about life. Joy, sorrow, frustration and celebration! The Blues is something that you are born with. You either feel them or you don’t. It’s a gift to be able to express myself through the music to either celebrate life or to express my frustration or sadness about something that I experience or that I see others experience in life. And if you love the Blues you know what I mean. What is the current state of the blues scene in McComb Mississippi where you live? McComb is a sleepy small town about 90 miles north of New Orleans. I love the rural setting.. It’s a perfect place to live for a songwriter. Friendly people and some great food. They put up a Blues Trail marker down on main street next to the train station for Bo Diddley cause he was born here. He came to town for the dedication. We don’t have much of a current Blues scene here now, a few Juke Joints and clubs, but there is talk about a Blues festival in the future. If you’ve never experienced Southern Hospitality you need to take a vacation down here. I recommend anyone who plans to visit either New Orleans or Memphis to take a day or two and rent a car to travel to the Blues trail markers. Take the drive down highway 61 and 49. There’s so much Blues history in Mississippi, it’s really worth taking the time to enjoy. And don’t forget to stop in McComb. Tell em Nelsen sent ya. Nelsen updates friends and fans - discussing the relocation, in addition to the exciting news about Northstar and more... plus don't forget to sign up for the newsletter, those of you that received the newsletter received a free download from the Nelsen Adelard store. Nelsen has now added the ability to purchase his music directly from his website. You can purchase any of his songs released on his five solo CD's. The Mp3's are very high quality - you will not find this high of a quality anywhere else on the internet. Wishing everyone a safe and happy Fat Tuesdays!! Season Greetings from Nelsen Adelard and Blue Track Records!! Nelsen is hard at work on many different projects at the moment - and will be releasing a newsletter and an update very shortly - remember you as fans and friends can always contact nelsen on the form via the contact page. Big Al and the heavyweights (along with Nelsen Adelard) will be joining the line up for the WC Handy Festival in Muscle Shoals AL!!! The dates are scheduled for the 23rd and 24th of July!!! Don't miss out - it is always a good time! A while back Nelsen partnered with myxertones to offer ringtones to his friends and fans. These are absolutely free. Standard text messaging rates may apply, check with your carrier. Myxertones nor Nelsen charge anything for the ringtones, Myxertones is not a subscription service but you may have to pay for text messaging or internet service from your carrier. For more information you can check out Nelsens personal page over there at Myxertones.com/nelsenadelard. South By Southwest still charting!! In McComb K106 on the Dave in the Morning show - hear the full interview here (mp3 open's in your music player) also hear the new hit song Sweet Home in McComb played during the interview!!! "South By Southwest made it to #14 on Living Blues chart for November"
Wanna glimpse inside the new album? check out Nelsen and the band performing One More Mile to Go!!! 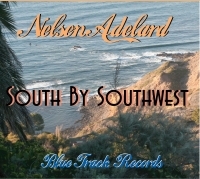 Blue Track Records is proud to announce the release of Nelsen Adelard's fifth solo album South By Southwest. The title has nothing to do with Austin's annual music festival, but it best describes Nelsen's musical journey from Los Angeles to his new home in McComb Mississippi. Recorded at Audiophile Studios located in the heart of the French Quarter in New Orleans, with Louisiana natives James Slaughter on bass and Greg Worley on drums the rhythms nare simple but infectious and steeped in a southern groove. The album starts out with two live songs borrowed from James Cotton's song book and taken from a show Nelsen did with his Los Angeles band before leaving town in July of 06. 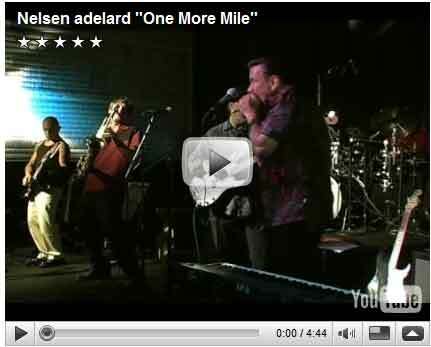 One More Mile and Rocket 88 give the listener a strong dose of the live shows that made Adelard a staple in the LA Blues scene for many years. What follows are eight new originals. Spanning every facet of the Blues, From West Coast Jump, to Chicago Blues to New Orleans and back. There's even a Blues Rock number that's sure to raise some traditional eyebrows. Adelard lives up to his "Jack Of All Trades" handle by writing and arranging all the originals as well as singing and playing guitar, harmonica and piano. He once again teams up with recording wizard Richard Robinson to cook up this very tasty slice of American Blues Pie. NBC's My Name is Earl has featured a Nelsen Adelard song this week. TK MUSIC - New Release - UPTOWN BLUES PARTY!! The soundtrack for the show titled "AKA" (original air date 11/12/2007) included the song "Call on Me" from the "Take Me Back" album and "Black & Blue" from the new release "Blues Still Got a Hold on Me"
The soundtrack from the third episode of K-ville tiltled "Bedfellows" included another Nelsen Adelard original "didn't have to leave me alone" from the new release "Blues Still Got a Hold on Me"
The Pilot / premiere's soundtrack of Fox's new show K-ville included the song "Blues All Night" off of the Take Me Back Album. New CD from Blue Track Records. On August 1st Blue Track Records will release a Nelsen Adelard recording. The "new release" is actually his first solo CD. Originally released in 1999 on then fledgling label J Bird Records, Blues Got A Hold On Me was recorded in two different studios in Los Angeles, but has the feel of a live album. 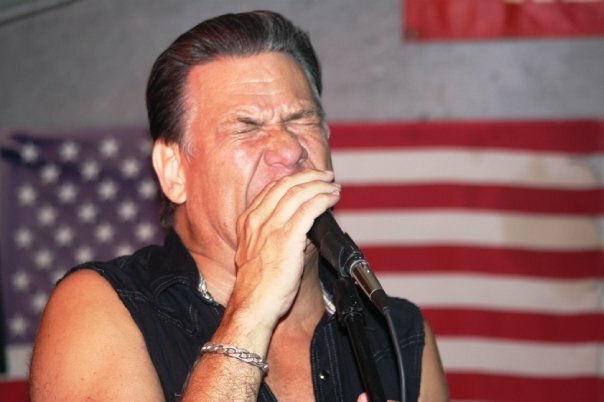 The songs were written for the original West Coast band, (John Duzik, Steve Gabil, and Rick Arbuckle) and continue to be a staple for any of his live shows. 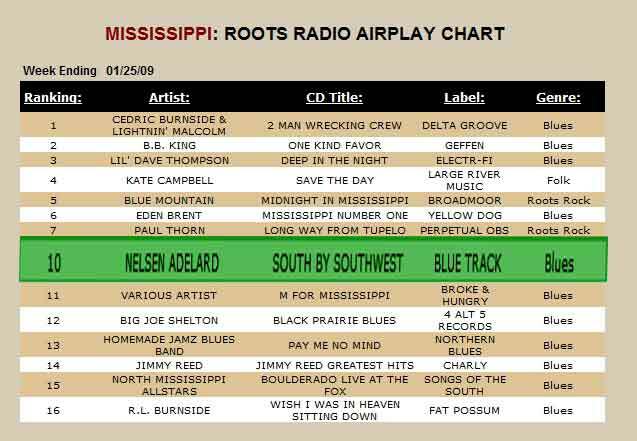 Two original cuts from this album "Don't Stop Now" and "Gotta Boogie" have appeared on his recent release "Nelsen Adelard Unplugged" ( #10 on the Living Blues Charts) and recently found new life on Bill Wax's Bluesville on XM Radio. Also featured is the classic "Black & Blue" which Nelsen lends his own style of lead guitar to, as well as the Blues Ballad "Give It One More Try" Both are standards of his live shows. Another familiar song to Nelsen's fans is the original cut of "Blues Got A Hold On Me" which was later covered on acoustic guitar and harp at the end of Nelsen's "Take Me Back" album. Re-Mastered by the engineering wizard Richard Robinson, this CD sounds better than ever and as fresh as the day it was first pressed. Nelsen Adelard songs on CBS. Songs from Nelsen's Take Me Back album recently appeared on the soundtrack for Boston Legal on ABC and Criminal Minds on CBS. Unplugged - XM Radio's Bluesville Pick to Click!